by the way what is the most up to date patch level on your table ? Just checked and mine says August. I did try to check for updates yesterday and it said it was up to date. My tablet is a Wifi version, not a 4G version through a carrier. Not sure if that makes a difference when updates are pushed through. Mine isn't carrier related. I want the Tab s3 and currently have Tab s2. I want it for my fleamarket business to run the Square register app. My dad won't buy it for me. He said I need to spend my own cash for the business and he says my Tab s2 is just fine for my store. But I want the newest device for my customers to use when they sign for teh credit card purchases lol. Everyone on here says I shouldn't get the tab s3 because it might get stolen or broken there. I mean, I got plenty money in the bank, and safe for it. That's not the problem. I don't want to spend my own money on another tablet. I just bought the Note 8 when it came out, and bought the S8 Plus earlier this year which I haven't sold yet. Well I like having the newest toys. any one no if you can do samsung pay on the tab S3? 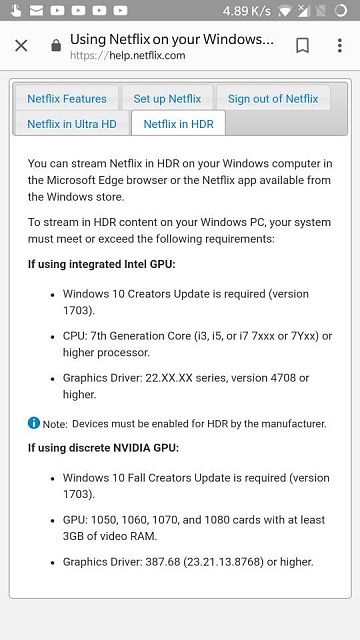 Unfortunately it will remain August for a while don't expect anything till March this year in Updates though you must be happy with the Netflix HDR support although it seems flimsy compared to Amazon Prime Video. Your dad is wise. Use the tab s3 tab s3 is more prone to scratches in that scenario and they won't go away. Also the newer s pen is not for rough use as I found out the nibs do get broken with regular moderate use. And you won't find any replacement nibs to buy if you are out. No, you cannot. But Paytm more than makes up for it. Samsung pay is meant for smartphones keeping portability in mind. Nobody carries around a tablet like they would a smartphone. Doesn't make sense. Would only eat up the tablet's resources. Also did I mention GTA V works well on the 8/256 version? Tab S3 doesn't give you that. Plus Adobe but surprisingly a fully unlocked version of office is provided along with a 2TB onedrive subscription that will atleast last two years but that disappeared once I activated it only shows 5GB but it's saving 40 GB currently in cloud. Samsung is more Dropbox supporting than Onedrive but rest assured you do get 2 TB for 2 years from activation. Why does restarting my phone give me back 4g lte? Why I can't activate the guest mode on my Samsung C7? I need to reset a galaxy tab.